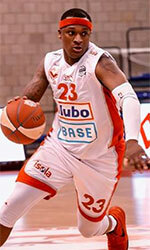 Somouha (Superleague) inked 29-year old American point guard James Justice (178-79kg-89, college: Martin Methodist). He played most recently at Al Sharjah in UAE D1 league. Justice also played for Al Ahli Jeddah (SBL) in Saudi Arabian league. A very good season in his career as he was voted to Asia-Basket.com All-Saudi Arabian SBL 2nd Team. The other team he played that season for was Al Gharafa (also in D1) in where in 18 games he recorded very impressive stats: 19.6ppg, 4.8rpg, 5.4apg and 1.8spg last season. Justice helped them to win the regular season and make it to the semifinals. It was a very successful season in his career as he was voted to Asia-Basket.com All-Qatar D1 Honorable Mention. Among other achievements he won Tunisian League championship title in 2015. Justice received also USBasket.com All-NBL Canada Newcomer of the Year award in 2016 and All-UBA Player of the Year in 2012. After a great season he joined the 2012 USA Selection Team in Taiwan for the FIBA Williams Jones Cup (Bronze medal winner). He is a very experienced player. Justice has quite traveled the world as his pro career brought him to five different countries on four different continents (Asia, Latin America, Africa and of course North America). 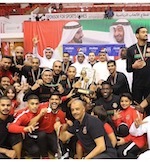 Justice has played previously professionally in Qatar (Qatar Sports Club), Tunisia (U.S.Monastir and Club Africain), Dominican Republic (Metros de Santiago), UBA (GIE Maile Matrix) and Canada (Titans). He attended Martin Methodist College until 2012 and it will be his seventh season in pro basketball.